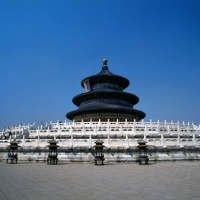 Enjoy full-day sightseeing of the Tiananmen Square, the Forbidden City, and the Temple of Heaven. This evening, you are recommended to enjoy the Peking Opera or the wonderful Chinese Kung Fu show (both are optional). 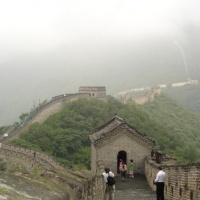 Explore the Mutianyu Great Wall and the Beijing Hutongs. This evening enjoy the Peking Roast Duck dinner. After breakfast, drive to Dazu -- a county famed for its Buddhist archeological sites. 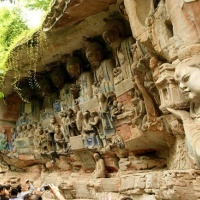 Lunch in the county then watch the monumental Buddhist sculptures -- Dazu Rock Carvings at Baodingshan. Return to Chongqing and board a deluxe cruise ship and settle into your comfortable outside cabin to begin your memorable Yangtze cruise. This morning, a shore excursion takes you to view the magnificent 12-storied wooden pagoda which known as the ""Pearl of the Yangtze River"" in scenic Shibaozhai or the Chinese ghost city - Fengdu (programs based on different cruise ships). The balance of the day is free to explore the ship's many amenities. After dinner, take part in the captain's cocktail party. Cruise through the Qutang Gorge -- a grand gorge of flanked by steep mossy cliffs. 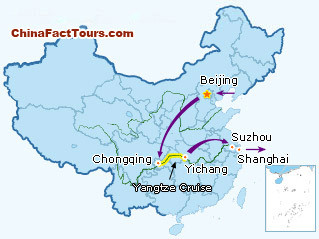 Then, sail on through Wu Gorge, celebrated for its 12 peaks. At Badong, transfer to a small cruiser for an exciting excursion on Shennong Stream or Lesser Three Gorges (programs based on different cruise ships). 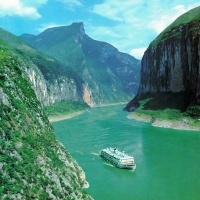 Next, sail through the breathtaking Xiling Gorge, the last and most scenic of all the Three Gorges. 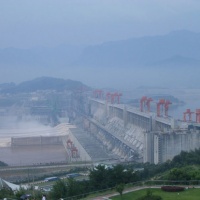 Finally, pass through the giant Three Gorges Ship Lock. After dinner take part in a party. 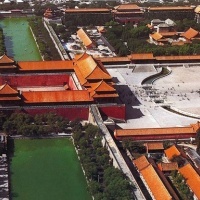 This morning, your Shanghai sightseeing include the Jade Buddha Temple, the People's Square and Shanghai Museum. 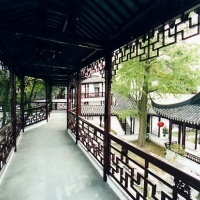 After lunch, you will visit the Yu Garden, Yuyuan Market, the Bund and the South China Silk Mill. This morning, be transferred to Suzhou -- a water city noted for its ancient private gardens, Pagodas, old temples, and silk. 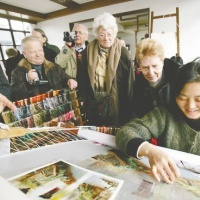 In this city, you will visit the Embroidery Research Institute, North Temple Pagoda, Panmen Gate and the Humble Adiministrator's Garden. 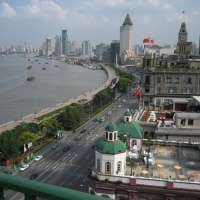 After breakfast, return to Shanghai and transfer to the airport for your homebound flight. ·Hotel Accomodation (incluing those on the ship)-the hotel accommodation is based on two persons sharing one twin room with private facilities. ·All the admission tickets, ship tickets, English speaking guide service. Hi Jennylyn, one of our trip advisors have sent you the price this morning, please check it asap. Thank you for the inquiry! smoking rooms in all hotel accommodations, internet connection (we will bring our own laptop), international breakfast in the hotel, lunch and dinner will be on our own (we don't like Chinese or oriental foods), and cruise cabin just for me and my husband. Expected date of arrival in Beijing is on Feb 19. This will be our free day to relax after the flight. Expected date of departure will be on March 2 at 11:55am. Touring activities should end on Feb 29 so we can have our rest day on March 1. Hotel accommodation should be from feb 19 until March 1 (12 nights). I will travel with my husband. Pls quote the price for two persons and deduct the lunch and dinner price except during cruise. Pls reply asap because tomorrow will be weekend. Our travel is NOT flexible.